No Invisible Walls. Unlike in most JRPGs, and most games in general really, there are no "invisible walls" in Xenoblade Chronicles. You can, and WILL, fall off a ledge if you aren't careful. If you can see it, in all likeliness you can get to it. 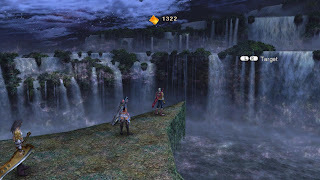 It makes traveling around the world in Xenoblade Chronicles exciting, and at times, a bit dangerous. Be careful of that ledge Shulk!